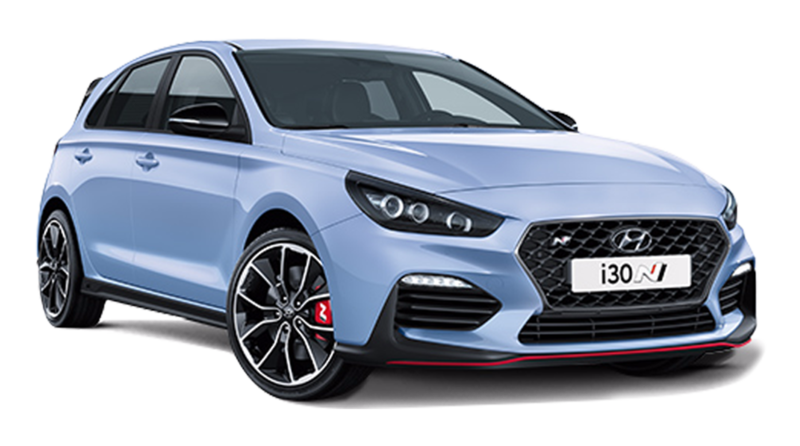 Introducing the all-new i30 N.
Born in Namyang, honed at the Nürburgring. 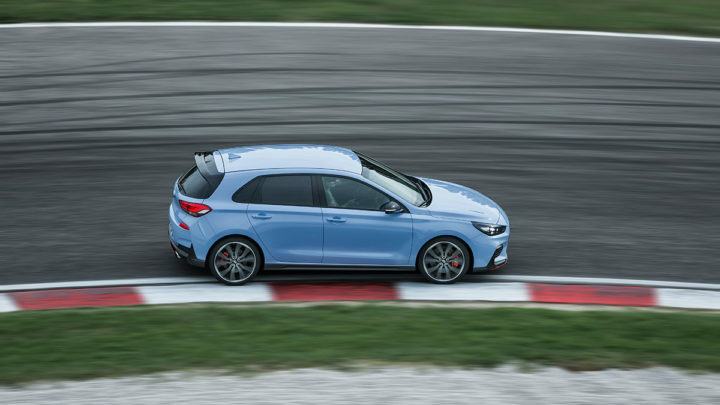 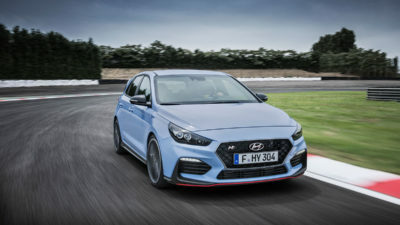 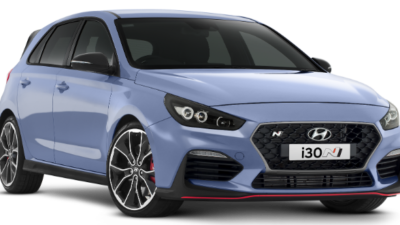 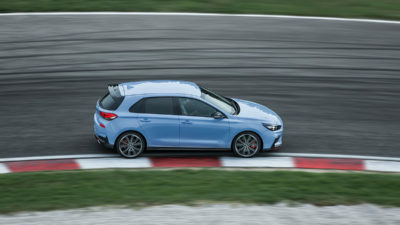 The i30 N was born in Namyang, Korea, at Hyundai’s global R&D centre, then honed at the Nürburgring, nicknamed the Green Hell, arguably the most challenging race track in the world and home of Hyundai’s Testing Center. It was only through a punishing development program that took in nearly 500 laps at this unforgiving circuit, and around 10,000 kilometres of testing overall, that we could make a model truly worthy of being the first to wear the N badge. The i30 N has been created by a team of talented, enthusiast engineers to deliver uncompromised driving exhilaration on both road and track, without sacrificing the civility and comfort needed for daily enjoyment. 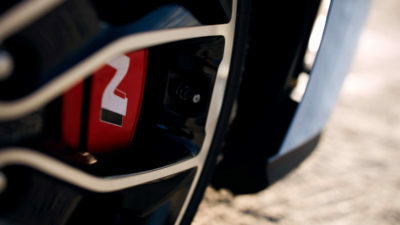 The electronically-controlled mechanical limited slip differential (e-LSD) distributes torque intelligently between the two front wheels depending on throttle inputs, steering angle and cornering force. 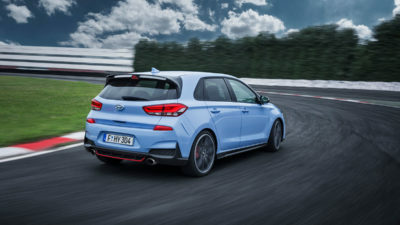 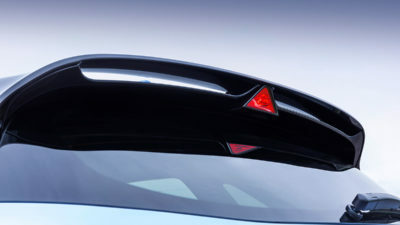 This technology reduces wheelspin and understeer while increasing traction and cornering speed, thus allowing the drive to extract maximum performance from the i30 N.
The twin-outlet active exhaust has three settings, allowing the driver to select the ideal level of exhaust sound for the conditions – keep it subdued around town or allow the engine’s full vocal range to be enjoyed when the open road or track+ beckons. 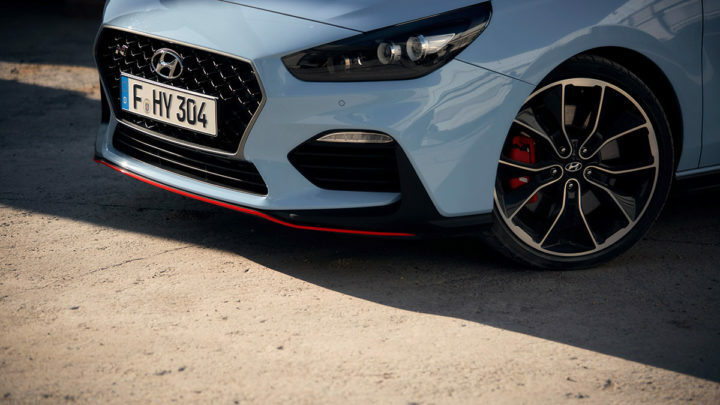 In its most sporting setting, throttle lifts and downshifts bring a thrilling volley of rasping crackles and pops that have to be heard to be appreciated. 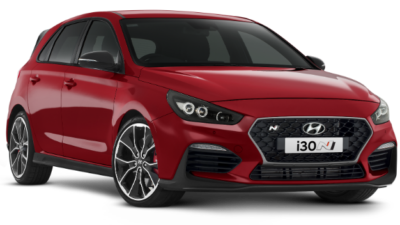 No matter what the road or driving conditions, the i30 N has a mode to suit. Choose from five individual drive modes: Eco, Normal, Sport, N or N Custom settings, activated by two dedicated buttons on the steering wheel. 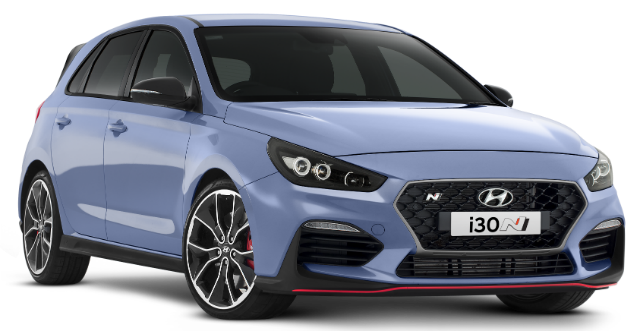 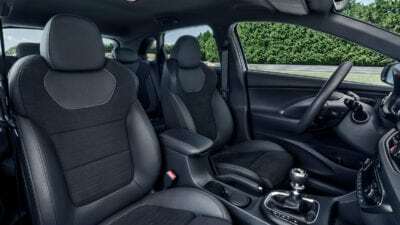 Crucially, all the discrete parameters of engine mapping, damper firmness, steering weight, e-LSD characteristics, stability control and exhaust sound level can be individually selected and saved via the N Custom setting, allowing unprecedented tailoring of the i30 N’s driving experience. 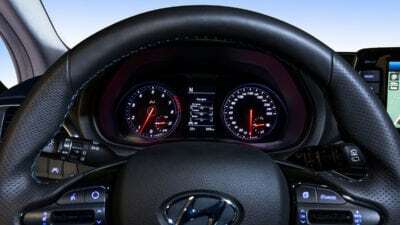 In fact, the N Custom mode allows a possible 1,944 combinations to be selected. 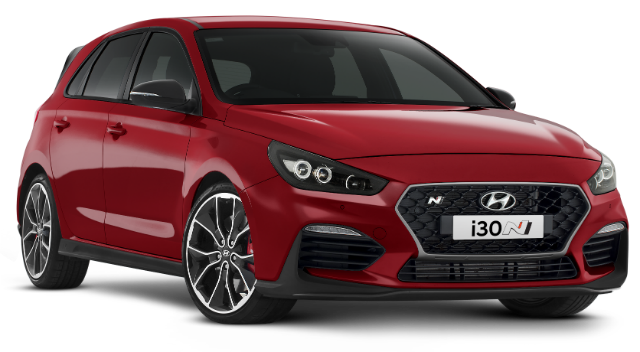 The i30 N features a unique exterior design to cheat wind and win hearts – from the front headlamps distinguished by a black bezel, aggressive front bumper featuring larger air intakes to unique 19” alloy wheels. Naturally the i30 N is fitted with seven airbags, Tyre Pressure Monitoring System (TPMS) and the very latest safety systems. 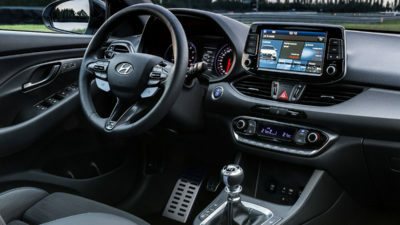 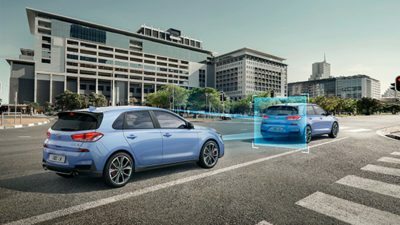 Central to this is the standard inclusion of Hyundai SmartSense™, which brings Autonomous Emergency Braking (AEB), Forward Collision Warning (FCW), Lane Keeping Assist System (LKAS), and Driver Attention Alert (DAA). 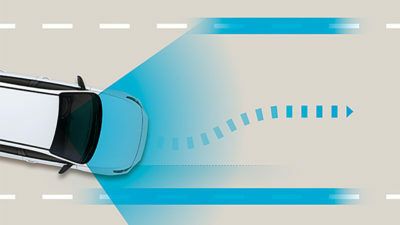 Both Hyundai SmartSense™ technologies use a camera to detect potential collisions and work together to alert you and/or apply the brakes if you haven’t already. Lane Keeping Assist System (LKAS) alerts you in unintended lane departure and provides steering intervention to keep you centered in the lane. 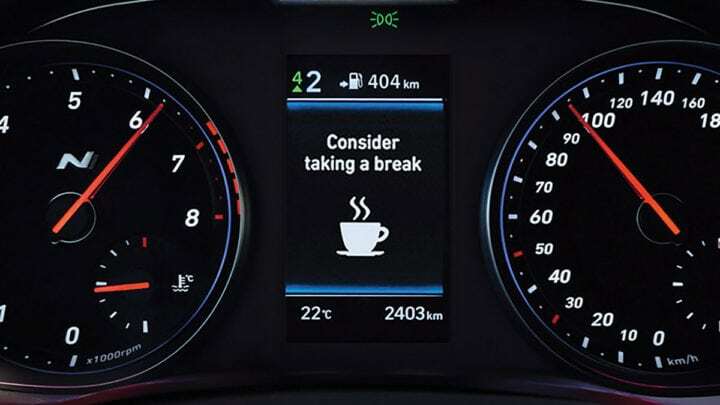 Driver Attention Alert (DAA) will recommend you take a break if it detects careless or inattentive driving.